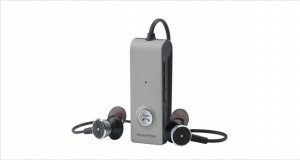 Phiaton is a company known for its personal audio offerings, and it has become a moderately well-known company in this regard. It is known for its natural soundstage, durability and eye-catching design that many in the world try to replicate with lukewarm successes. Phiaton has long been in the running for making the best noise cancelling headphones in the world, but with the Phiaton Chord MS 530 headphones, they might have just landed on the best over ear headphones that perform excellently in the audio streaming arena. The Bluetooth capable MS 530 has a very natural sound stage and an astonishingly good dynamic frequency response – the highs are sparkly and easy on the ears while the bass is strong, deep and magnificent. 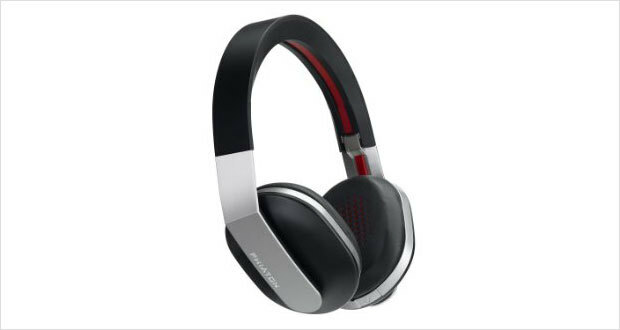 These headphones are definitely one of the best for those who want comfortable, eye-catching headphones that also do a little bit of noise cancellation. The Chord MS 530 looks like an amalgamation of Beats and some alien technology. The sleek angular lines, the color scheme and the comfortable fit all ensure that you have an experience to behold when you put on the headphones. The fact that they can be used with or without the wires also lends some credibility as one of the best portable ‘phones around. 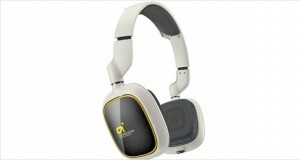 Dimensions8.5 x 5 x 9.2"
The headphones are made of aluminum and hard plastic that lends excellently to its durability. The detachable cable is made to be stress-free and the carbon fiber head band also ensures durability. The ear pads ensure that these headphones are incredibly comfortable even though they are supra-aural. The high quality of construction also allows for excellent comfort. The ANC is a little off the mark and can only be quantified as “average” – there is quite a bit of leakage but in an office set up or a somewhat loud area these ‘phones will perform well enough. The overall performance is fantastic for these headphones, and the package itself is quite sweet thanks to the ANC, Bluetooth streaming and detachable cables. While the active noise cancellation circuitry is certainly not the hardest selling point of these headphones (there is an audible hiss and makes quiet rooms louder), it is ultimately the excellent audio, powerful streaming and durable design that sells the Phiaton Chord MS 530 headphones. 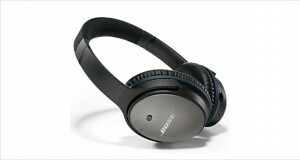 While there are no excuses for the shoddy ANC, the fact that it exists sweetens the deal on a $350 pair of headphones.